A perfect combination of salty, sweet, smoky — and with a hint of vinegar makes this a quick and easy one-pan dish. 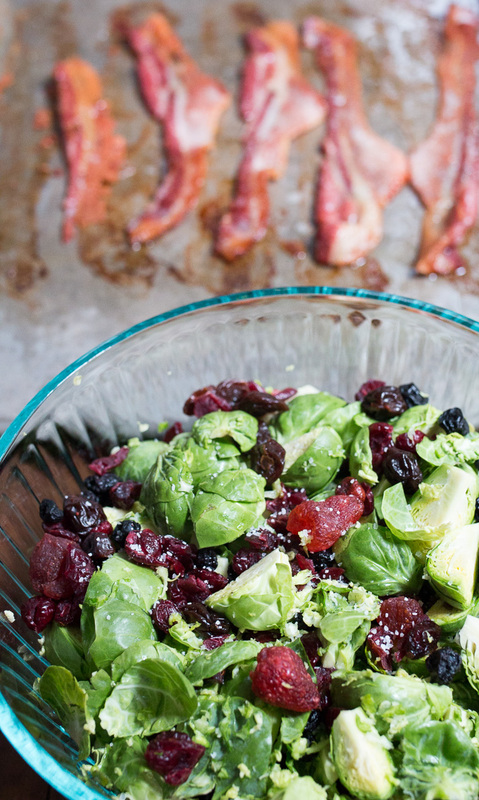 Cooking the bacon first gives you drippings that coat the Brussels while the dried fruit provides just the right amount or hint of sweetness. Brussels are found in markets throughout the year but are really in their peak during the winter months — with that, let's get to cooking! 1/4 cup various dried berries — cranberries, strawberries, blueberries etc. Preheat oven to 400° and lay bacon strips flat on a sheet pan. 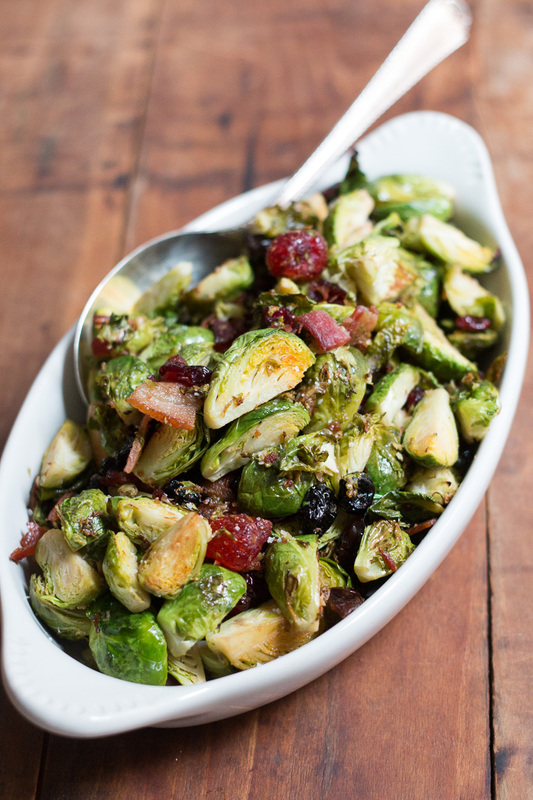 Rinse and trim the ends of all of the Brussels sprouts. 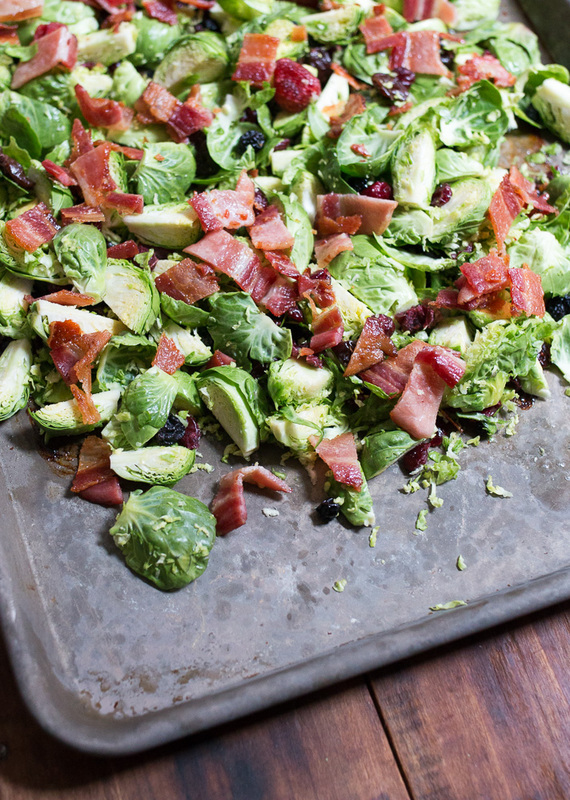 Cut 3/4 of the Brussels into quarter size pieces and set aside. 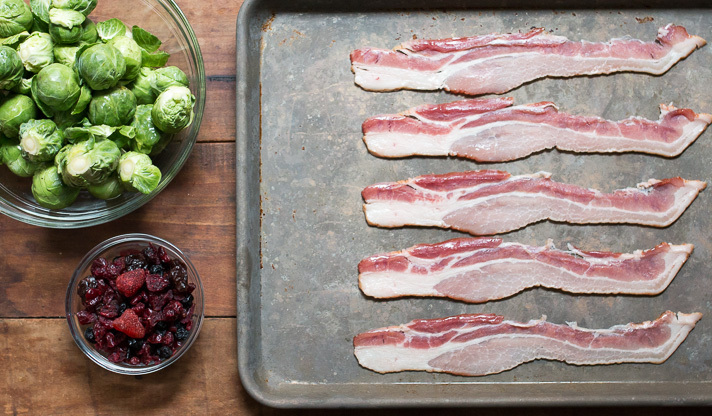 Once oven is heated, place bacon pan on the center rack and cook for 20 minutes or until bacon is crisp. Rotate the pan halfway through the cooking time for even crispness. 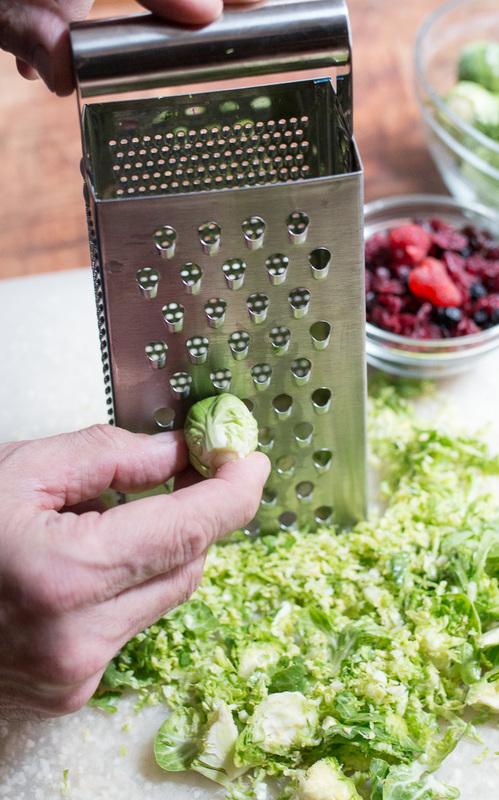 While bacon cooks shred the leftover whole Brussel sprouts with a box shredder or pulse quickly in a food processor to get a rough chop. Once bacon is crisp remove from the pan and dice. 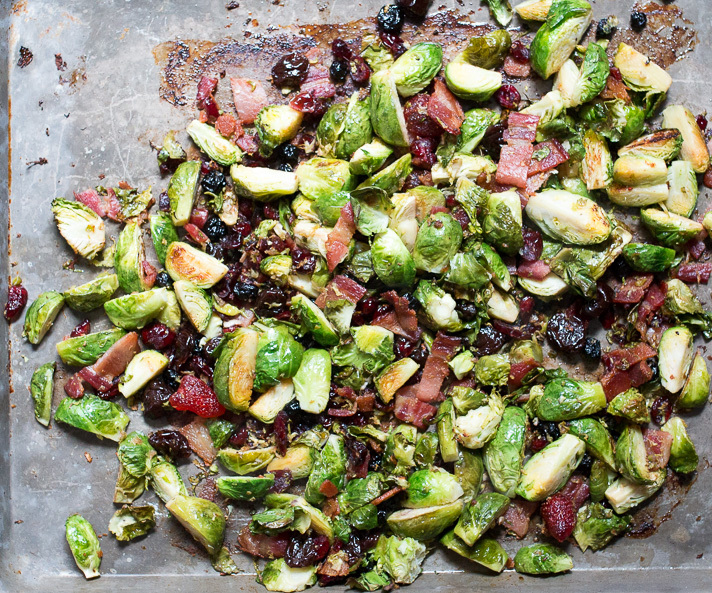 Set the pan and bacon grease aside for the Brussels. 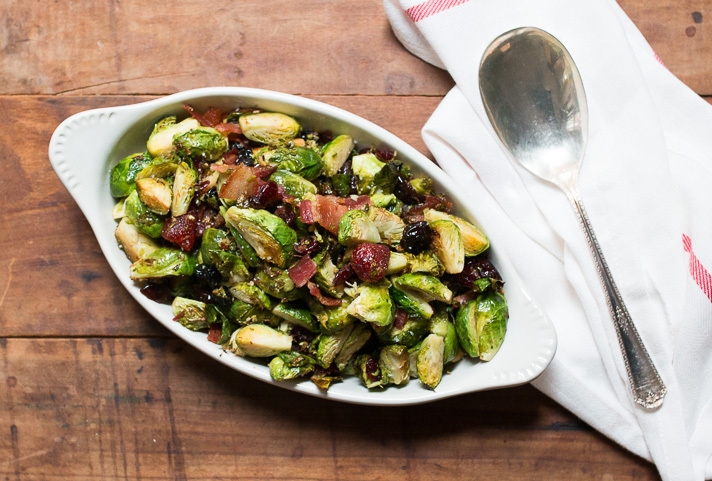 Mix the quartered and shredded Brussels in a bowl together, then add the dried berries, bacon pieces and the balsamic vinegar. Stir to combine. Spread the mixture on the reserved pan and stir to coat with the bacon drippings. Return to the 400° oven and roast until crisp and slightly browned. Spoon into a serving bowl and sprinkle with salt and fresh pepper. Serve an enjoy as a side dish or topped with a poached egg in simple individual bowls.